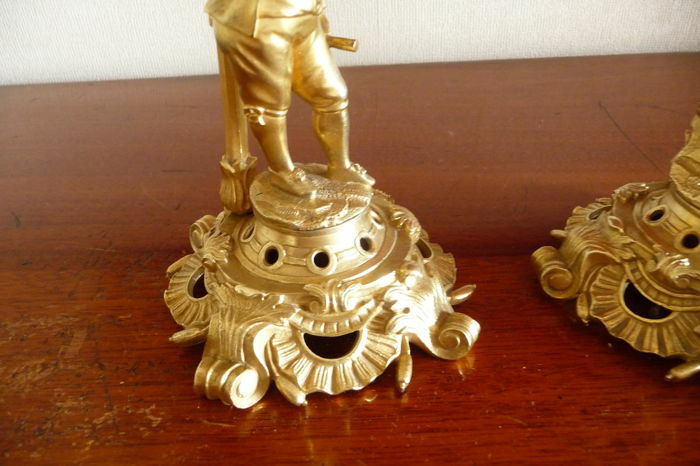 Pair of candlesticks made in bronze, 19th. 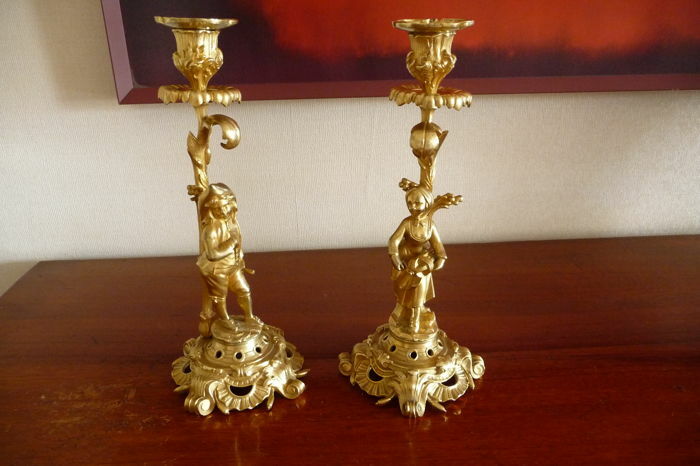 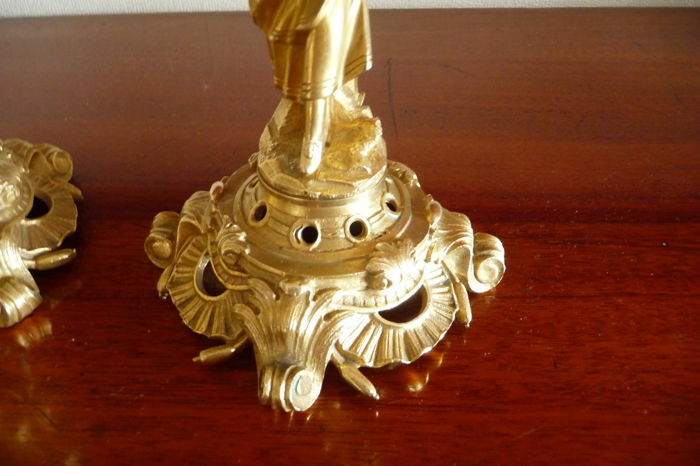 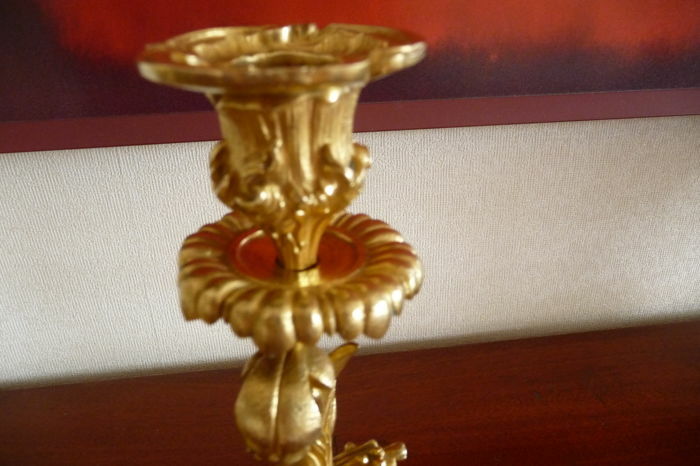 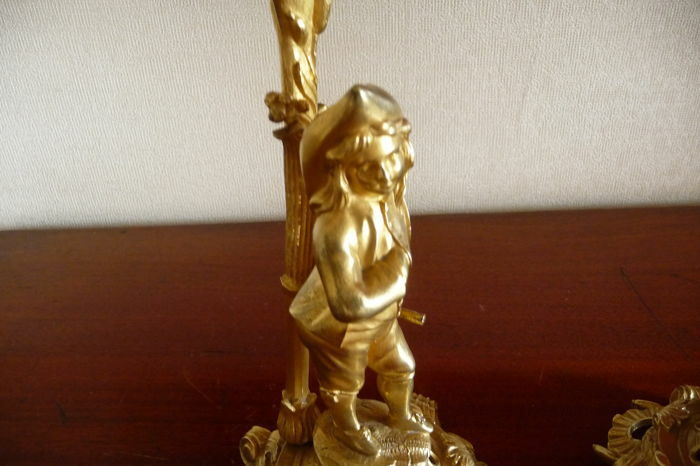 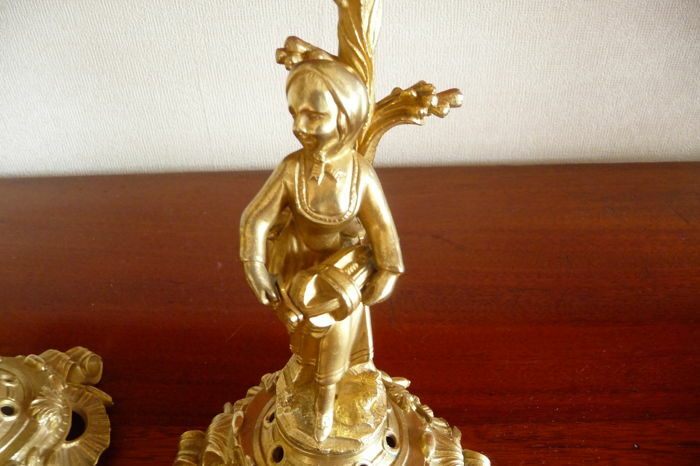 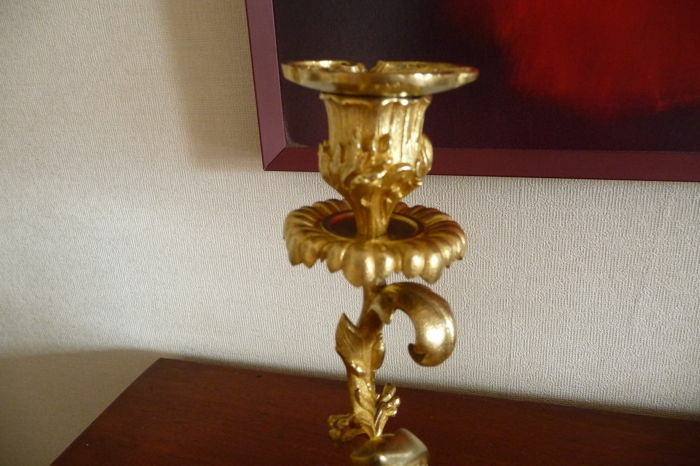 Very nice and rare pair of candlesticks in gilded bronze from the 19th century representing a couple, each of them holding a musical instrument, they are in very good condition, the gilding is still very beautiful and the work is very finely executed. 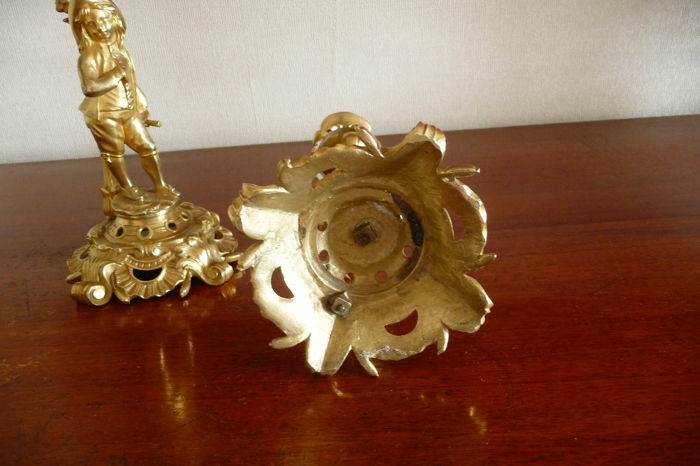 See the pictures as they also form part of the description.